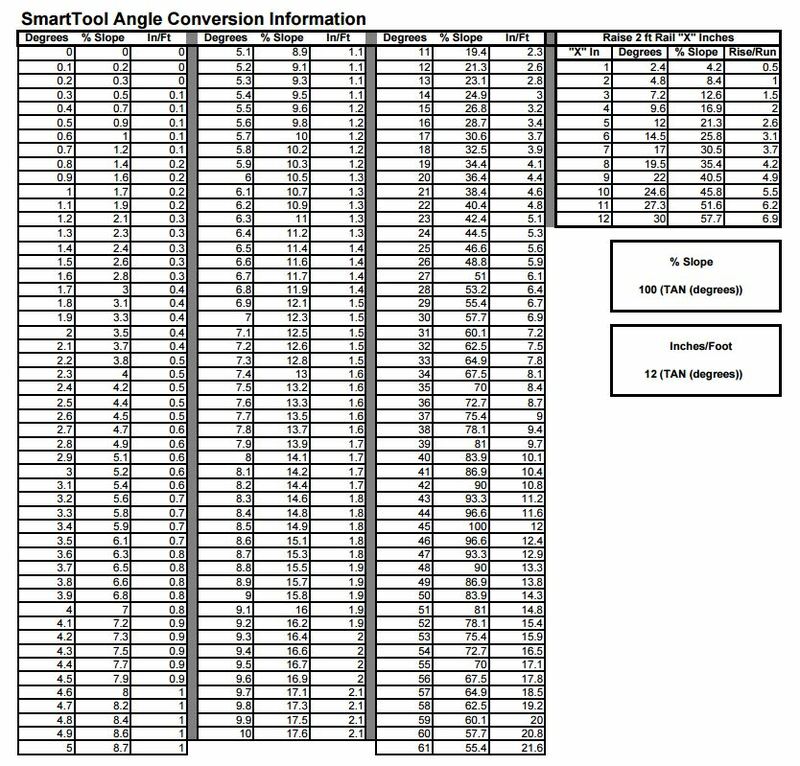 The conversion table shows the values for each angle with the corresponding % Slope and Inches/Foot conversion information. The formulas used are shown in the boxes on the right. Also shown are the readings that would be displayed if the end of a 2 foot SmartTool was raised by a certain number of inches. If you have questions or comments, please don't hesitate to contact us!